Corneel Geerts Transportgroup is your partner for reliability, security and flexibility. 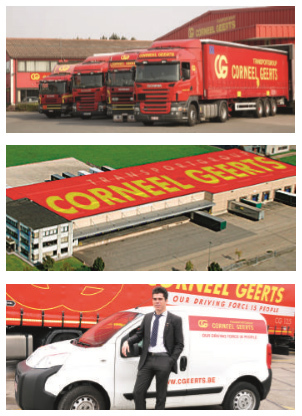 Corneel Geerts Transportgroup is one of the leading logistic providers in Benelux. 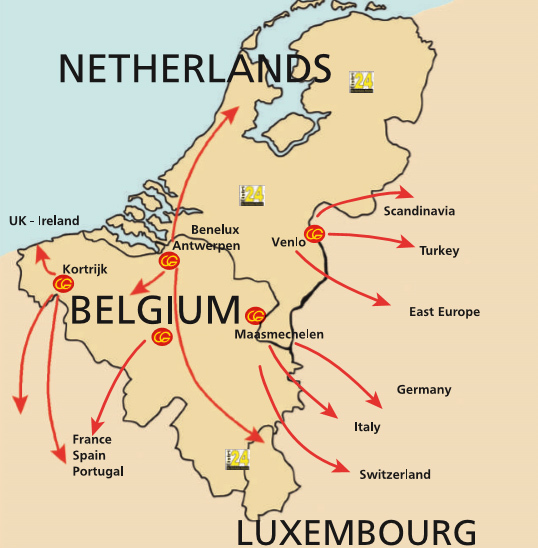 For over 50 years we are specialists in the distribution of goods throughout Europe. As market leader of L.T.L. transports in France, Spain, Italy and Germany and as one of the specialists on Scandinavia, the UK, Switzerland and Cental Eastern-Europe, the Balkans and Turkey we can offer you pro-active reporting and information. This gives top quality, customer-oriented staff and professionalism toward our customers. Corneel Geerts Transportgroup is partner of Distri24 and the LEA. Organisation, two leading organizations in logistics and network distribution in Europe. Corneel Geerts Transportgroup has 10 offices and 4 depots in the Benelux and also further subsidiaries in Romania, Bulgaria and Slovakia. Every day there are more than 200 trucks and trailers on the road to serve you and with our strategic partners we now have more than 10.000 trucks.